Cody Garbrandt had a lot to say about T.J. Dillashaw’s two-year suspension. Dillashaw revealed that he failed a drug test under the New York State Athletic Commission (NYSAC) following a 32-second TKO loss to Henry Cejudo earlier this year. Dillashaw relinquished his Ultimate Fighting Championship (UFC) bantamweight title as a result. Earlier today (April 9), the U.S. Anti-Doping Agency (USADA) revealed that Dillashaw was suspended for two years after testing positive for recombinant human erythropoietin (rHuEPO). 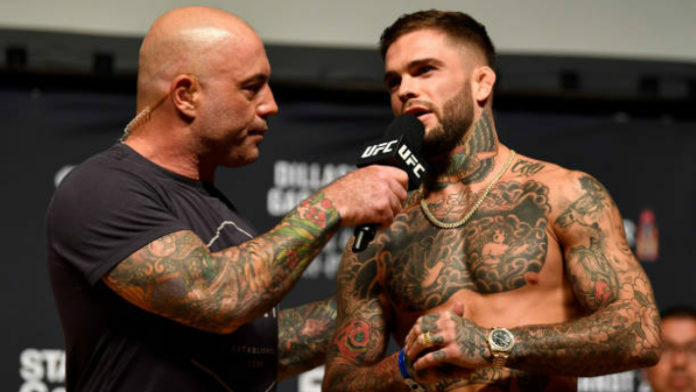 In the past, Garbrandt has claimed that Dillashaw was on performance enhancing drugs. Dillashaw holds two victories over Garbrandt, both via finishes.